We will be cleaning up the disc golf course on Saturday, 6 September 2014 from 9am until noon, and we need some volunteers. It’s an 18 hole course so the more the merrier! We will be clearing some low-hanging limbs, spreading mulch around the baskets, and picking up litter and unwanted debris from the course. The Friends of Cedars of Lebanon State Park will provide lunch afterward. We hope to see you in the cedars Saturday! 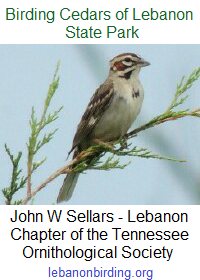 This entry was posted in Announcement, Volunteer Projects and tagged Cedars of Lebanon State Park, FoCoLSP, friends of cedars of lebanon, Lebanon TN, Tennessee State Parks. Bookmark the permalink.